"Studying English is pretty pointless. I mean look at vocational degrees such as... medicine for example. So why did you decide to take this degree? Why are you sitting here in front of me? Before applying to University, I to-ed and fro-ed between so many degrees. I was practically 100% set upon studying Law, before taking work experience with a solicitor and realising it was definitely not something I could do for the rest of my life. Then it was History. I've been brought up visiting castles and national trust houses, and have always taken an interest in the past, but I found writing so analytically at a-level both tenuous and frustrating. So I started to panic, questioning whether I should be doing anthropology, liberal arts, or some wacky ridiculously specific degree that nobody had really heard of. So mum sat me down, asked me what I really enjoyed, and what I have always loved studying. And of course, that was English. 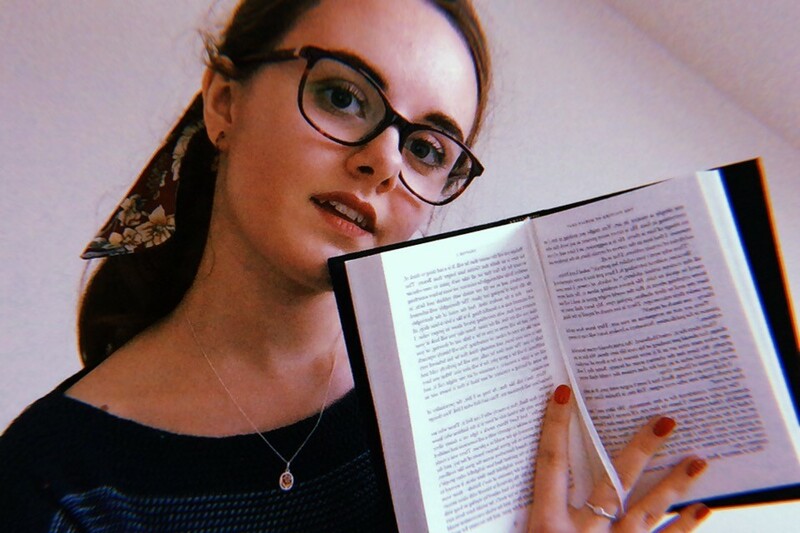 I'm now studying a joint honours degree in English and Classics, which means that I also cover Greek and Latin literature, as well as other topics such as philosophy and ancient history. I feel that English as a subject, as well as most other arts degrees, can be overlooked. So here I am, attempting to address the common misconceptions that tend to fly about. English is not a doddle, especially at degree level. It's not all 'George shoots Lennie' and ' Why are the curtains blue?' Trust me! A lot of work is independent which means that reading, writing and research needs to be on your own accord, rather than a lecturer's. This results in there being a lot of time management is involved. I have countless books to read, essays to write, and exams to sit at the end of the year. Yes, I don't have many contact hours (about eleven a week) but I have a lot to do in the meantime! No, I do not want to go into teaching. And yes, I'm completely sure! The fact that English is pretty non-vocational can be daunting to some, but it is exciting and particularly useful for people who are not sure where they wish their future careers to take them. Yes, it won't train me to operate on someone's brain, or construct the next biggest skyscraper. But without English where would we be? There'd be no books to read, signs to follow, instructions to consult... the list goes on. So it deserves some recognition! What subject do you/did you study at University? Do you get frustrated at the misconceptions surrounding it? It's a hard knock life! !